I was pretty excited about this one. I don't think I have been this excited about a book since I was 13 and the second Harry Potter book was published and I know that many of you share my enthusiasm for this one. 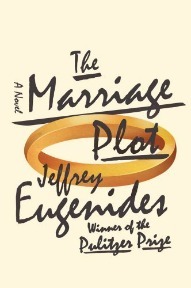 In lieu of a traditional review that will be posted the week of October 11th, I wanted to share a few non-spoiler thoughts on Eugenides' latest novel, The Marriage Plot. This novel was everything I hoped it would be and reminded me why I love reading so much. Whenever I read Eudenides I have an urge to cancel all plans so I can stay at home and read all day; he has got a serious gift for sucking me into his plots. There are many passages throughout the novel that I underlined thinking to myself, "exactly!" I hope it doesn't take another 10 years for Eugenides to write another book. It would be interesting if Cal Stephanides met Leonard Bankhead. The ending of this book is probably the most satisfying ending I've read all year. A big thanks to Melissa Rochelle from Life:Merging who sent me her ARC. You can preorder The Marriage Plot, or go buy it October 11th. You're such a tease! ;) Can't wait for Oct. 11! Greg, I don't mean to tease! I just don't want to give anything away before it's released. This sounds like something I'll have to put on my TBR list! I am definitely buying this one! I am glad it lived up to your expectations! Well I think I know what I'm going to have to get on Oct 11! I'm glad you liked it! I hope my random notes/etc didn't bother you...there are a couple I remembered after I sent it and I thought, "So now Brenna knows where I stand on that..."
I'm anxiously awaiting this book ... your teaser made me even more anxious! Glad that it lived up to your expectations ... looking forward to your full review! So, so, so excited to read this. I'm also really psyched to go to his reading in October. Ahh this mini-review is making me even more excited. I love Eugenides and this sounds lovely. I can't wait for this one. You are lucky to have had a sneak peek. I have yet to read anything by Eugenides even though Middlesex has been on my tbr for quuuuuuuite a while now. I really need to break! Now you have me even more excited about the release of this one! Loved all your thoughts, especially the one about reminding you how much you love reading. I'm in serious need of a book to do that for me. I can't wait. I'm glad to hear the ending is satisfying. I'm never very happy with endings. I can't tell you how glad I am that this one didn't disappoint. Woo hoo! Looks like this one is not to be missed - I think I'm finally going to read Middlesex next month, and possibly this one shortly thereafter. I came back to read your thoughts now that I've read it and YES on the ending. It made me smile so much. At least lately. 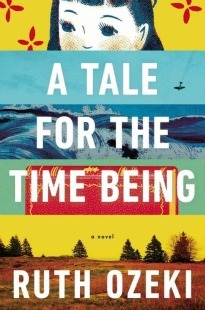 Without giving too much away, this book and its characters were amazingly well-written. The three dimensional characters made each page impossible to be the last one, that is until the very last, at which point I had no choice.